Legion Paintball is a subsidiary of a company that produces body armour in Malaysia. Their paintball vests are built to last, and are of superb quality. 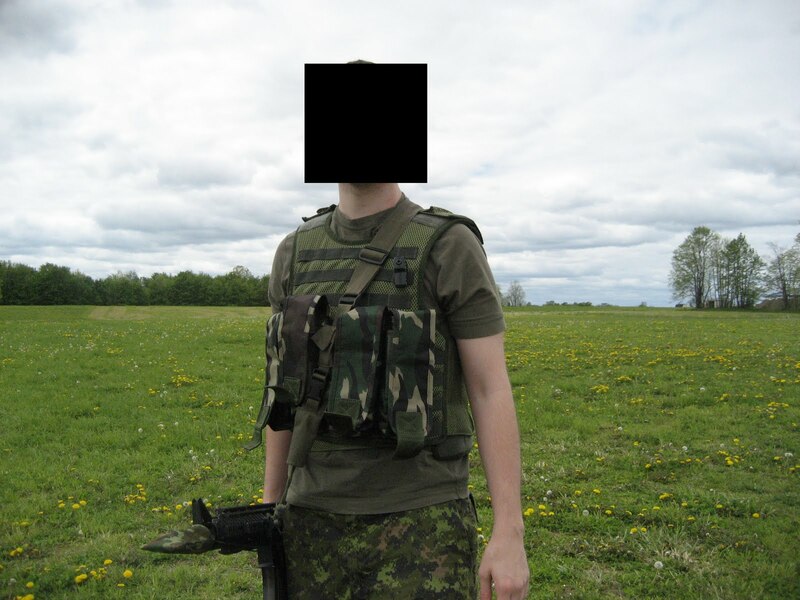 Their new Legionnaire MOLLE vest was kindly provided to Grey Ops for review. Pros: The first thing I noticed when I took the vest out of the packaging, was the amazing mesh construction. 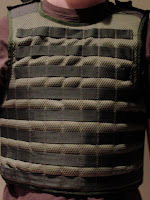 The entire vest is covered in thick yet breathable mesh, providing considerable padding while keeping the wearer cool. For people like me who sweat like a beast in the summer sun, this vest keeps perspiration to a minimum, and even feels like it wicks away moisture. The vest is fully adjustable, and fits very tight to the body with no play when running. To wash the Legionnaire, one can simply put it through a washing machine (given the instructions on the inside of the vest). 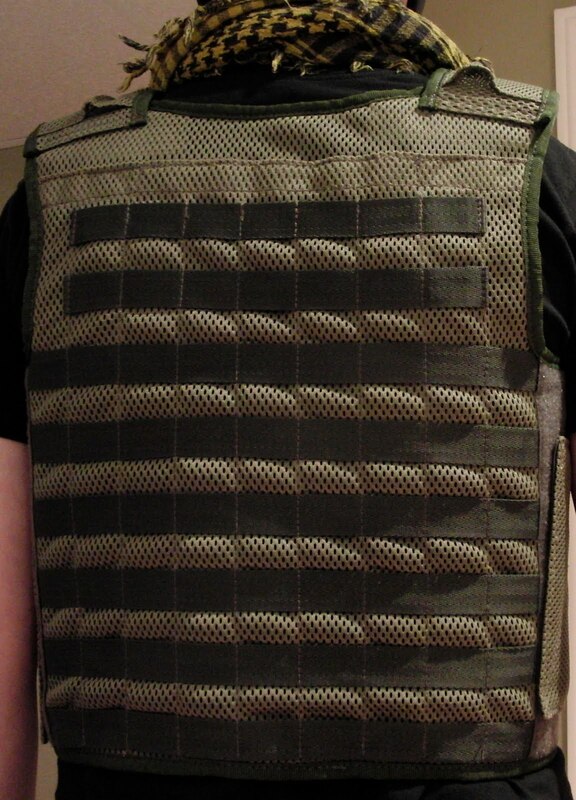 The webbing is very easy to work with (compared to some other vests I've seen) and has some very solid stitching. Lots of real estate on the front and back (especially the back). Cons: No belt loops, so you'll have to have a stand-alone belt system (would fit very well with a battle belt). 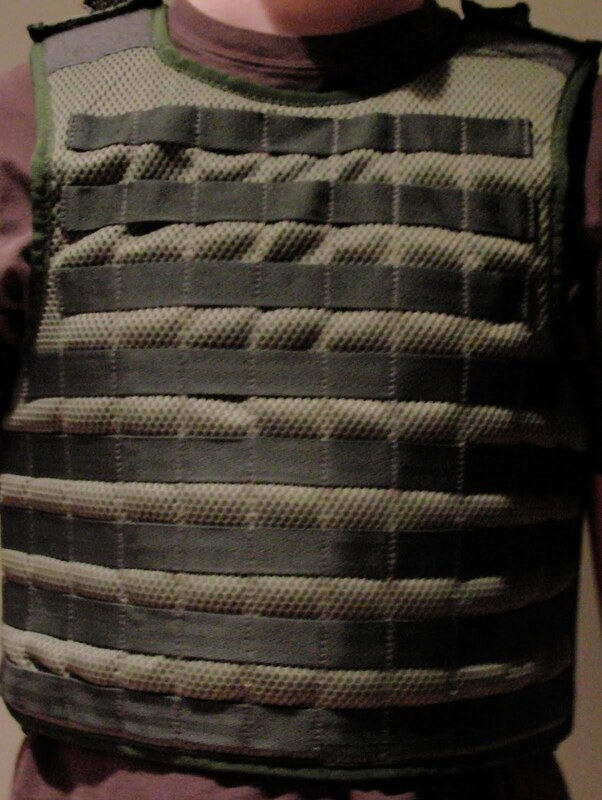 A personal preference of mine is to always have some pockets on the inside of a vest for small yet valuable items, the inside of the Legionnaire is all mesh. Overall: One of a kind, I have yet to see another vest in this style with a breathable mesh construction. If you're looking to get away from a zip-up style vest, and want to convert to a MOLLE load out, this is a very solid choice. The craftsmanship is very impressive, and Legion Paintball are very pleasant to deal with. Legion products are designed and produced exclusively in Malaysia. If you want to know more, contact Legion Paintball here: asklegionpaintball@gmail.com or check out their Facebook page . They are currently looking for dealers, and if interested you can enquire at the same email address above. Update (May 18th 2010) - Legion offers a 6 month limited discretional warranty against manufacturing and defects.